Globally, the ocean absorbs nearly one-third of total carbon emissions released into the atmosphere. Unfortunately, since the industrial revolution, this process of carbon sequestration has drastically altered ocean chemistry. By the turn of the century, ocean acidity is expected to increase 150% over pre-industrial levels. In a paper recently published in the journal, Regional Studies in Marine Science, Palau International Coral Reef Center (PICRC) CEO, Dr. Yimnang Golbuu, along with a team of international experts, identified climatic and non-climatic related stressors that have had impacts on coral reef communities throughout a selection of islands in the Pacific Basin. Authors reviewed these impacts, the potential costs of disturbances, and a range of actions that have been implemented so far. The paper highlights coral communities found in Palau, Hawaii, the Ryukyu Archipelago of Japan, the Marshall Islands, and American Samoa. While these five islands differ in cultural diversity and biodiversity, they all rely heavily on coral reef ecosystems for important services, such as food security, shoreline protection, and economy. Increasing environmental pressures directly threaten these services to varying degrees. In this paper, the authors provide three suggestions to address climate change impacts: adaptation, mitigation, and capacity building. Implementing adaptation activities – such as coral restoration projects, regulated eco-tourism, fisheries management, and marine protected areas – can improve coral resilience against environmental stressors. Although small island nations have the least impact on CO2 levels in the atmosphere, authors suggest implementing policies that can “incentivize industries to lower carbon emissions”, which would mitigate climate change impacts. This could be applied to the Pacific Basin Islands through two main concepts: carbon taxation and quota emissions. Finally, building scientific capacity among local communities will help identify management and conservation needs that will inform policy at a national and international level. For a copy of this paper or any other PICRC publications, please contact Ines Kintoki at the PICRC library by e-mail at ikintoki@picrc.org or calling at her 488-6950. This entry was posted in Uncategorized by Website Administrator. Bookmark the permalink. PICRC envisions: People empowered with science and knowledge for effective marine conservation and management. 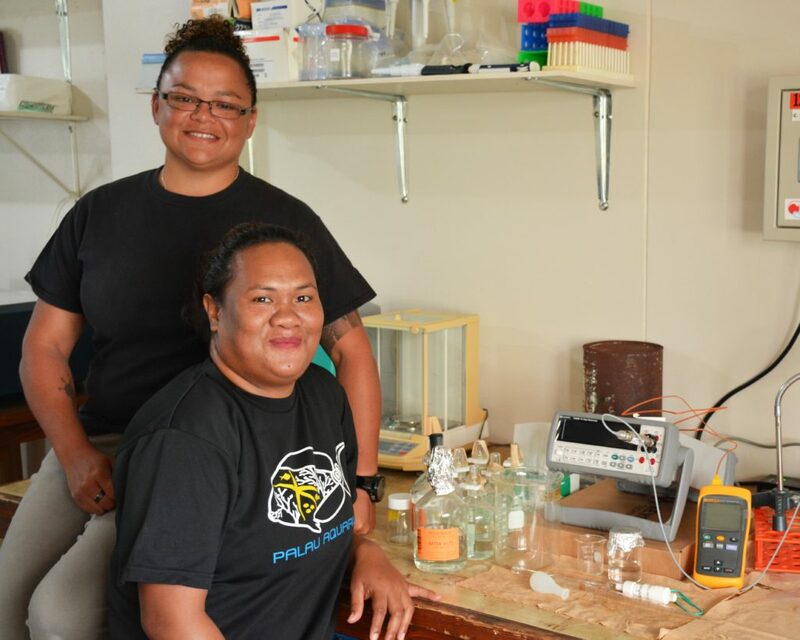 The Mission of PICRC is: To guide efforts in coral reef stewardship through research and its applications for the people of Palau, Micronesia, and the world.